Which Vitamin D is better for your body? Vitamin D3 extracted from Lamb’s wool or Vitamin D2 sourced from Organic Mushrooms? Common sense (and science) would point towards the benefits of nutrients in their whole food form, and yet confusion still exists on this topic due to the proliferation of studies, internet blogs and supplements that do not disclose the sourcing of their D.
Vitamin D3: Sunshine or Sheep? There are few natural food sources for Vitamin D. Fortunately, our bodies “make” Vitamin D when exposed to sunshine, as Vitamin D3 (cholecalciferal). Yet, a rise in sedentary lifestyle, use of sunscreen, and fear of skin cancer may have contributed to a lack of sun exposure, since estimates of Vitamin D deficiency in the population range from 50 to as high as 75 percent. Studies suggest a lack of Vitamin D is linked to numerous cancers, heart disease, diabetes and more. So it is no surprise that supplementation is seen as an answer. What may come as a surprise to many is where most of that Vitamin D3 comes from… sheep. Or, more specifically, it’s synthetized from oil in lamb’s wool (lanolin). Vitamin D2: Does it have the same benefits as D3? 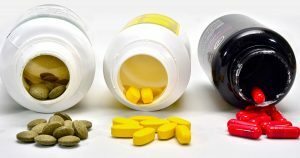 While useful for medical professionals, a study evaluating the administration of a single mega-dose of 50,000 iu of Vitamin D has little application to the real world, when the Recommended Daily Allowance (RDA) for healthy adults is 400 iu. Furthermore, the study itself demonstrated that D2 and D3 were absorbed equally well in the bloodstream, and had similar serum concentrations at day 3. The only difference was the single mega-dose of D3 stayed in the blood longer and at higher levels (up to 30 days). Any concern regarding the “staying power” of D2 quickly becomes moot when you realize daily supplementation of Vitamin D2 is not just possible, but recommended (hence, Recommended Daily Allowance). The similarity of blood serum levels of Vitamin D2 and D3 is also validated in numerous other double-blind placebo-controlled studies, including research done by the Boston University School of Medicine. Vitamin D2: New Sourcing Available? Previous questions on the comparison of Vitamin D2 to D3 also do not take into account the sourcing of the D3 (sunshine or sheep) or the sourcing of D2. Until recently, most D2 (ergocalciferol) was sourced from yeast. 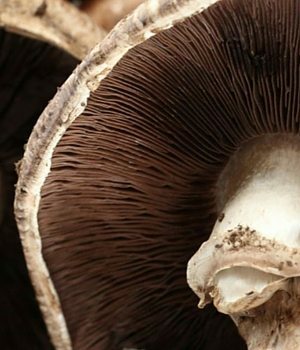 Today, a whole food form of Vitamin D2 is available, sourced from organic mushrooms. Three easy-to-swallow capsules of Supergreens + D provide 2000 iu of Vitamin D2 sourced from organic mushrooms. Supergreens + D features the ONLY organic whole food non-yeast Vitamin D in a supplement form. Are there any extra qualities for lamb’s wool? Maybe if you consider its sweater-making capabilities. With everything from energizing B vitamins to immune supportive beta glucans, organic mushrooms provide much MORE than just vitamin D, making them a far superior choice to sheep’s wool for your daily vitamin D.